After reading the most recent WCRA newsletter, it sounds like the Baldwin 8000 will soon be on it's way to Squamish. This locomotive holds a very historic past as it was the first diesel road switcher purchased by the CPR ,thus starting the march from steam to diesel for the Canadian Pacific. It is also significant that the CP used the E&N here on VI as their first testing ground for diesel, and that the 8000 is the last surviving locomotive of it's class anywhere in the world. Wow... this sounds pretty exciting! The Baldwin-built diesels of Vancouver Island were truly unique, and it's nice to find out that there is one still around. Any idea whether it is still in operable condition, or not? I believe the traction motors have been removed from it's trucks and I'm not sure if it still has it's prime mover. 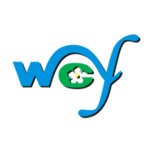 I've heard that the WCRA will have it on static display inside their new roundhouse which is currently under constuction. 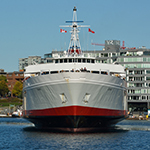 Finally the last surviving member of the Vancouver Island Baldwin 8000 series locomotives has arrived back on the coast. This is probaly one of the most, if not the most historical diesel locomotives in the country. 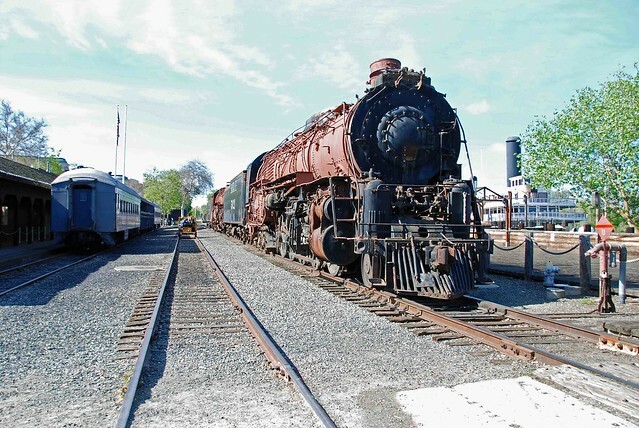 It will now be spending it's life at the WCRA railway heritage park in Squamish inside their new roundhouse. 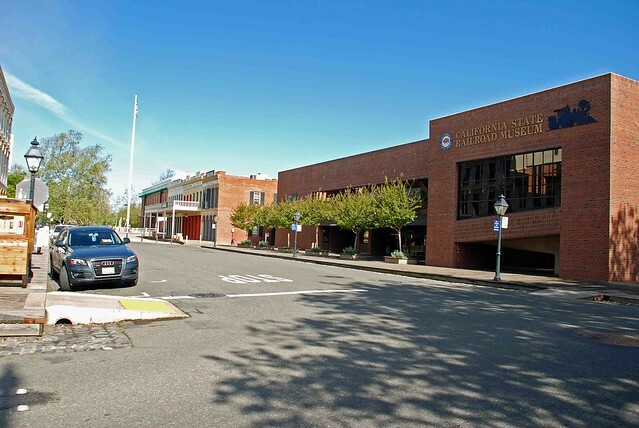 Let's see if we can sneak it over to the E&N Div(CHRA) in Victoria. Where it belongs. It would be nice to see 8000 on the Island, but I think it's found a perfect home in Squamish. Nobody on VI has anything that compares to their new roundhouse,where the 8000 will have a climate controlled home preserving it for generations to come. And besides it's only a short ferry ride away to see it. Locomotives 8013 and up being MLW RS23's. The WCRA has received two million dollars in federal funding to complete the new Roundhouse building. This is wonderful news as it will allow the completion of the Roundhouse and enable them to store such historic locomotives such as the Royal Hudson and the Baldwin 8000 indoors. That is great news. 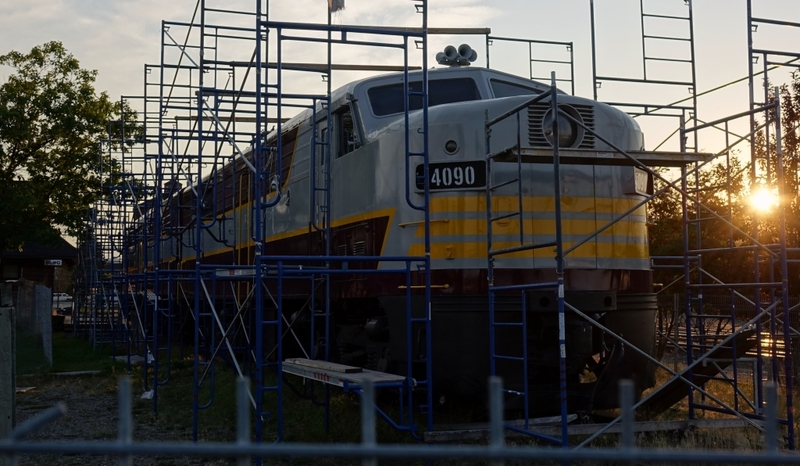 So much of Canada's historic rail stock and locomotives are stored outdoors and deteriorating. When I had the National Museum of Science and Technology in Ottawa as a client, I had so much fun looking at all the behind the scenes storage of artifcacts and in particular some of the rail pieces. However, much of it was stored unprotected outside. The same with the sister, National Aviation Museum. This has been partically remedied by the recent expansion. Toronto's historic roundhouse at the base of the CN Tower is in the midst of restoration and a railway museum established. 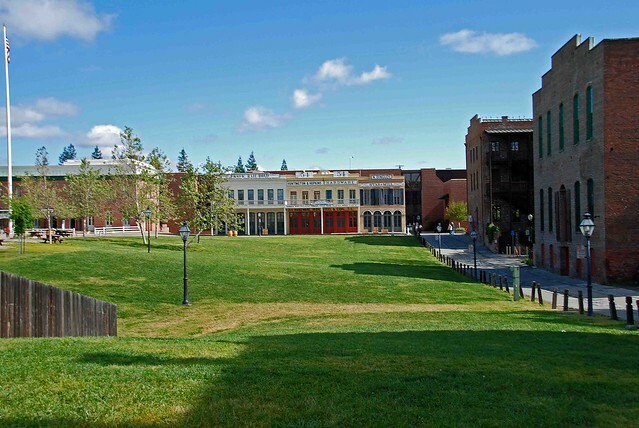 About one third of the building has housed the Steamhouse Brewery and produces craft beers. Another third houses a recently opened Leons Furniture Store, that was controversial to say the least. But it has resulted in the building being restored and preserved at least. The final third will house the railway museum. There are locomotives and stock outside the museum wrapped in plastic so it will be interesting to see when they are unwrapped. Items seen at the Revelstoke Railway Museum, which was a fun visit for me in July 2012. - easy to find on Victoria St. in Revelstoke, and right beside the rail line, of course. - On the left is Surprise Creek bridge. On the right is Stoney Creek bridge. - Both are obviously models of the original temporary wood structures. Inside rolling-stock at the Revelstoke Railway Museum. - I was there in July 2012. Actually, CP 5500 is a GMD SD40 built in July 1966. The Revelstoke Museum is extremely good for an over view of "how it was done". My partner and I were there a few years ago and she really enjoyed it ( she has a love affair with steam engines). If you do the spirals I really recommend the hike up to the old "big hill" grade where you can find the remains of an old narrow gauge steam engine. That's the info for CN's 5500 (which, as an unnecessary note of interest entered service as a SD50AF numbered 9900). CP's ex-5500 is an SD40, 3000 hp, built in '66. It was donated to the museum in 2007. 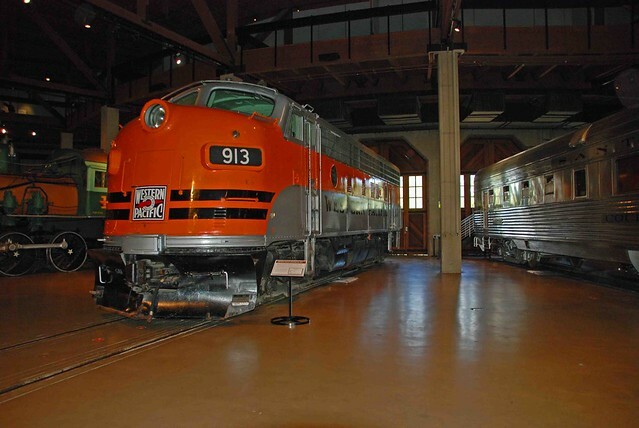 A thread about Railway Museums and their display items. 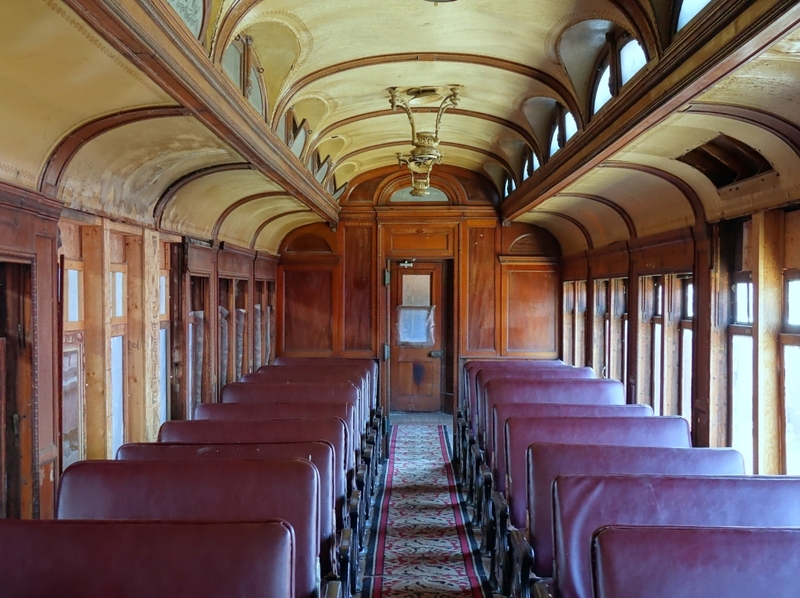 The Canadian Museum for Rail Travel, in Cranbrook, BC, is a great place to experience an earlier age of rail travel. 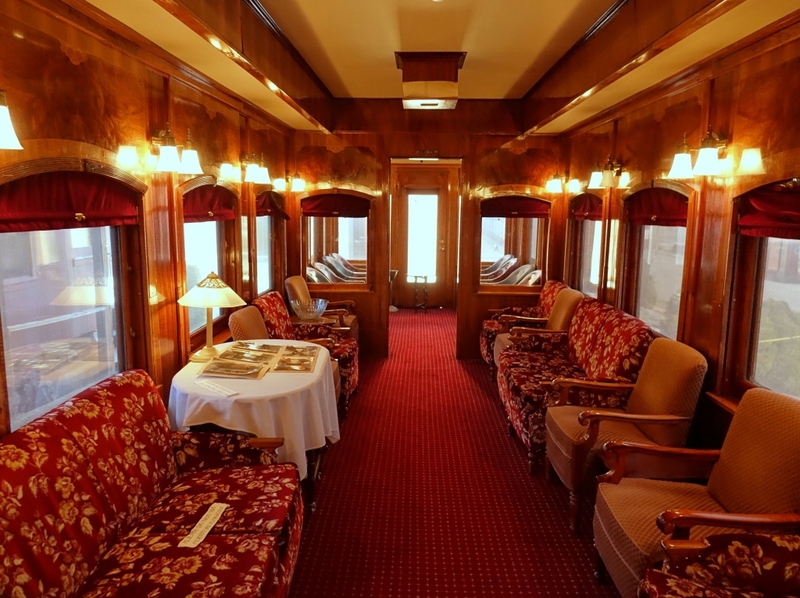 They have a complete 7-car train set for the 1920's CPR "Trans Canada Limited" and a 3 car-set of the 1907 "Soo - Spokane Train Deluxe." 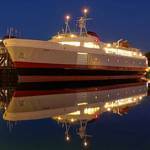 Mr. & Mrs. Horn did two tours today, of the Trans-Canada Limited and the Soo-Spokane. We didn't have time to do the others, and apparently these two were the museum's best. On either side of the Canadian Museum of Rail Travel (in Cranbrook) are a couple of special items. 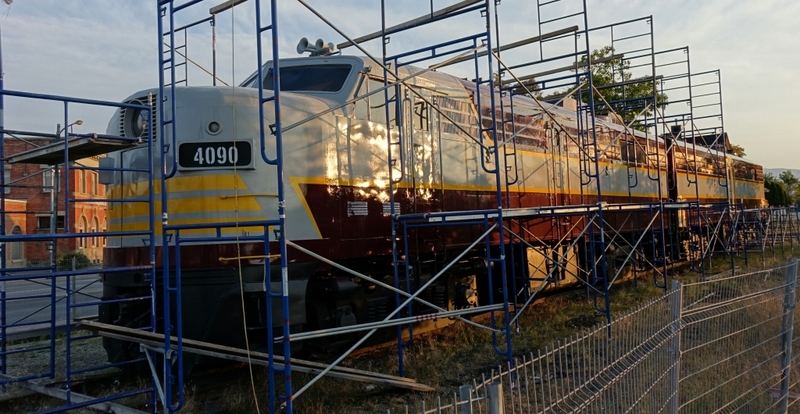 - on the east side is a painting restoration project of a CPR locomotive in my favourite livery. This repainting project is being led by the local Rotary club. 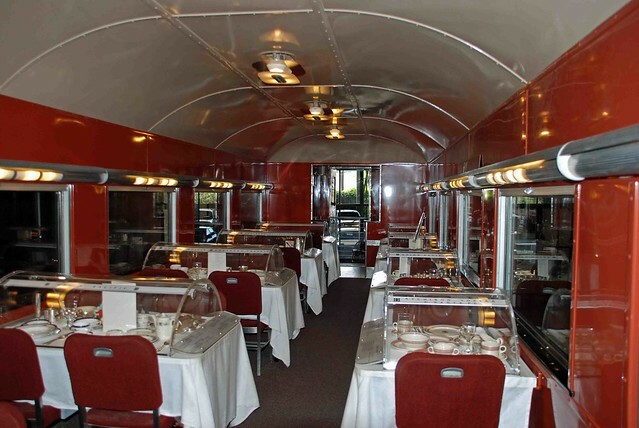 - on the west side is the Prestige Hotel, and the hotel includes a 1920's ex CPR sleeper car that is now 2 rooms for the hotel. 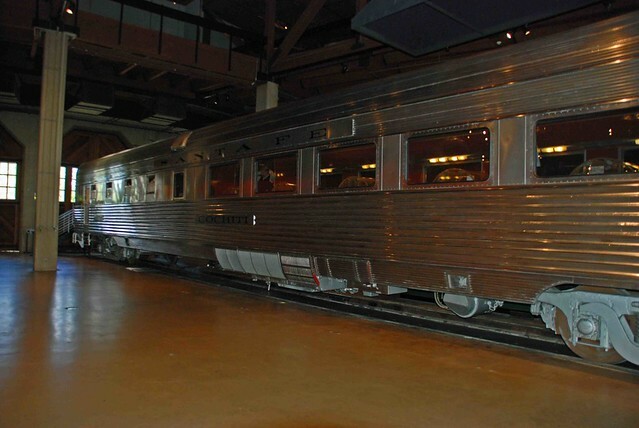 Here a very brief video of mine, from the Canadian Museum of Rail Travel. Some shots from mid September 2014 in Cranbrook, BC. - at the Prestige Motor Inn, in Cranbrook. The most rail-friendly hotel I've ever been at. 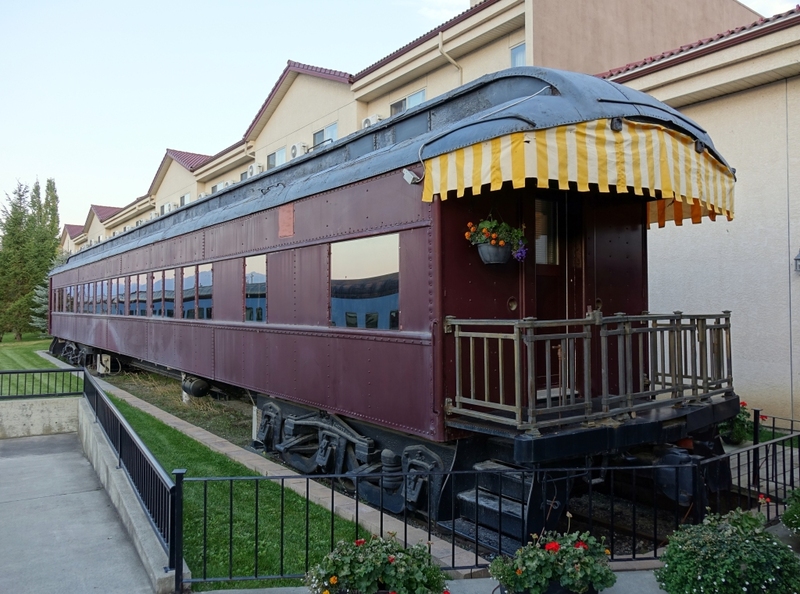 The old rail car contains 2 luxury rooms for the hotel. The far end of the rail yard for the Canadian Museum of Rail Travel. Seen from my Cranbrook hotel. 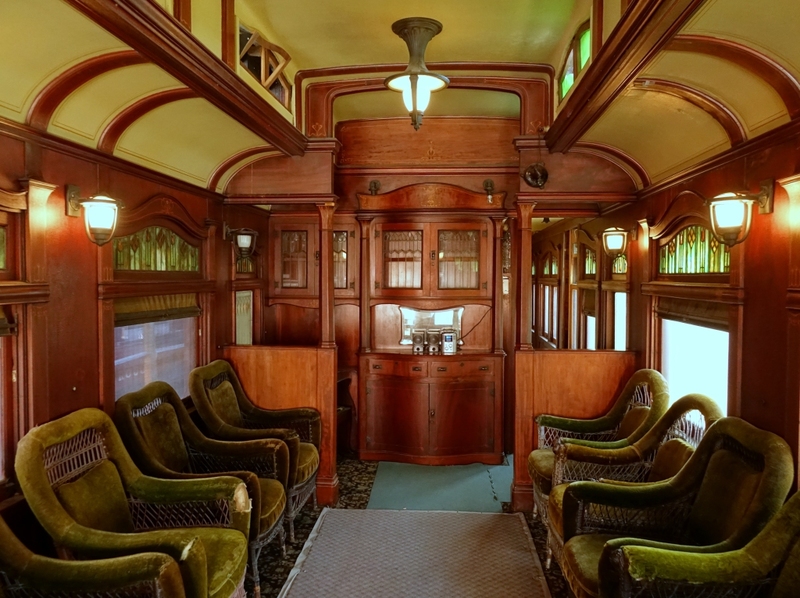 The outside of the full "Trans Canada Limited" 1920s train set. The inside is wonderful. The outside is not yet fully protected. ...a not-for-profit museum can only do so much at a time. They do great work. The 1901 Elko train station, sitting near the Cranbrook train museum. This is not yet part of any open museum exhibit, but it is located beside the repainted classic diesel locomotive. 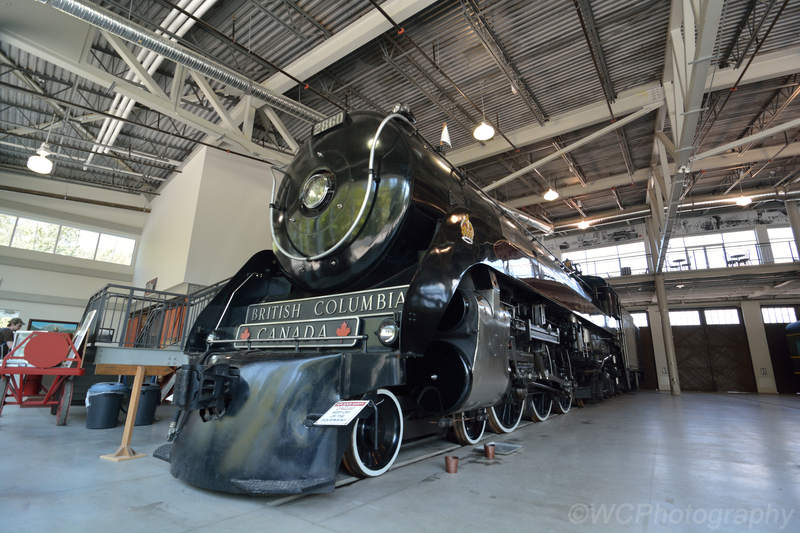 A couple more images from my visit to the railway museum in Cranbrook BC, in September 2014. 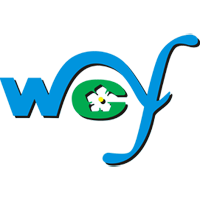 - exhibit restoration work is slow, because of slow inflow of funds. Midway BC was the east-end mile-zero on the old Kettle Valley Railway, and was part of the one-time CPR southern route. 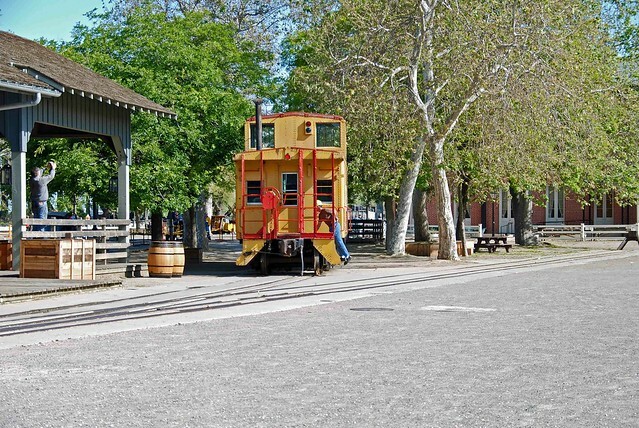 Midway, on Highway 3, promotes its railway heritage on its street signs and on its museum grounds. Who wants to visit Ferry, Washington? The road from Midway BC to Ferry WA (USA port of entry) continues along the Kettle River to Republic. Railways and mines built this area. A recent photo of 2860 inside the roundhouse at the West Coast Railway Heritage Park in Squamish. She recently celebrated her 75th birthday.